Home > Chocolate advent calendars – Not just for kids! Chocolate advent calendars – Not just for kids! December 1st is just a few days away and for many people, so begins the annual tradition of marking the countdown to Christmas with an advent calendar. According to Wikipedia, this tradition began in Germany in the 19th century to mark the days until Christmas. Many of us have childhood memories of opening those little cardboard doors each day as double treat – one day closer to Christmas, and there was a chocolate inside to enjoy! 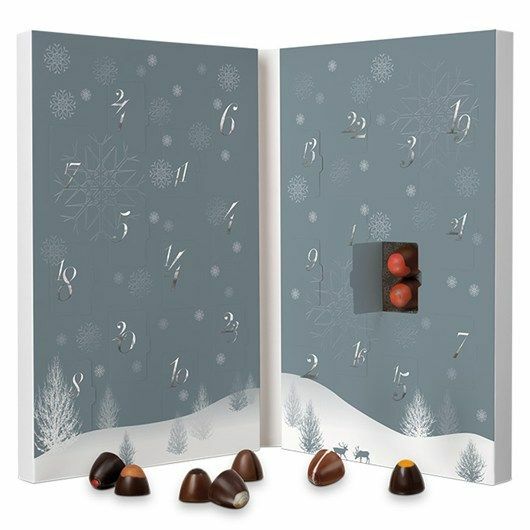 Hotel Chocolat in the UK has created this delightful advent calendar called Truffles for Two – open the cardboard door each day to reveal two truffles. Share with someone you love or treat yourself twice! Flavors include Mulled Wine, Pecan Gingerbread and Cinnamon Praline. 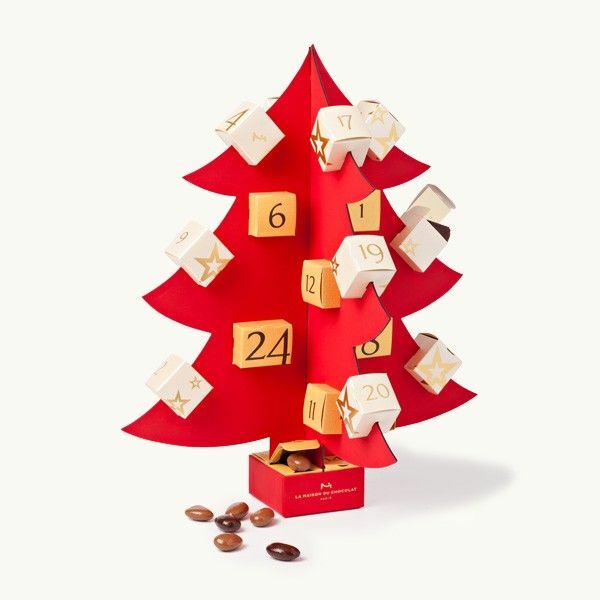 This advent calendar from La Maison du Chocolat is beautifully packaged and would add a festive touch to any table top! But of course it’s not only about the pretty packaging, the chocolate treats inside are just as important and this advent calendar doesn’t disappoint. Filled with chocolates and pralines, it gives a delicious daily indulgence. The packaging is just the beginning for this advent calendar from Moonstruck Chocolate in Oregon! The house makes a nice decorative piece while you are counting down the days to Christmas, with a truffle nestled in each little drawer. Flavors include Baileys Irish Cream, Italian Espresso and Clear Creek Pear Brandy. 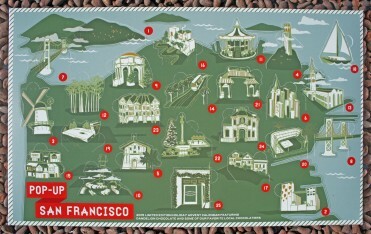 San Francisco chocolate maker Dandelion Chocolate has released their first ever advent calendar this year! Each window contains a confection made with their chocolate by either executive pastry chef, Lisa Vega. Edmonton’s Jacqueline Jacek of Jacek Chocolate Couture launched this beautiful advent calendar. It contains 24 different hand-crafted chocolates, with flavors including Peppermint Meltaway, 36% caramelized milk chocolate with Fleur de Sel (The Jackie), White chocolate with peppermint & candy cane (The Claus), and 70% craft chocolate from the Dominican Republic laced with espresso. Who wouldn’t want to have this cheery face greet you each day as you countdown to Christmas? 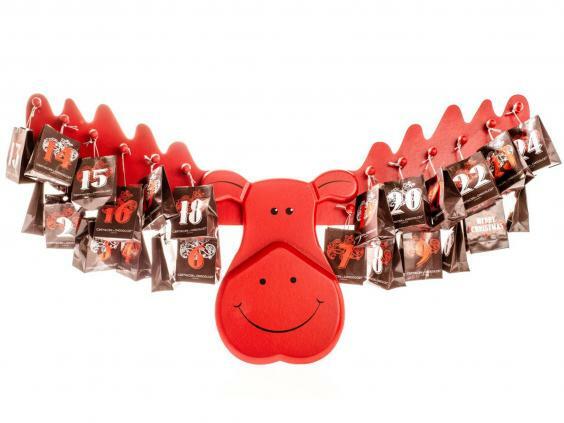 The Ultimate Advent Calendar from Artisan du Chocolat comes with this festive wooden moose that can be hung or placed on a table top. Treats inside include liquid chocolate caramels, chocolate covered fruits and nuts, pralines, nougats and more! Do you have an advent calendar at your house? Which one is your favorite? Share in the comments!